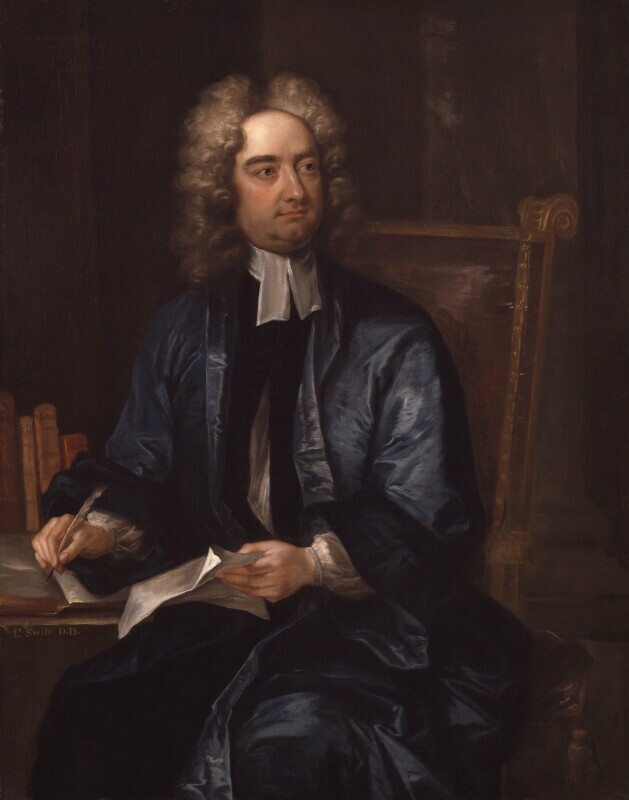 This portrait of Jonathan Swift, Dean of St Patrick's in Dublin, was painted in about 1718. He is dressed in the robes and clerical collar appropriate to his position. Although he was an ordained priest Swift was far from being a conventional Christian and is known today as the author of Gulliver's Travels, a satire on contemporary politics and manners. Swift spent much of his life in fierce dispute with his literary and political opponents whom he saw as intellectual pygmies. He is depicted in this portrait at his writing table with paper and quill in hand. On the table rests copies of Aesop, Horace and Lucian.